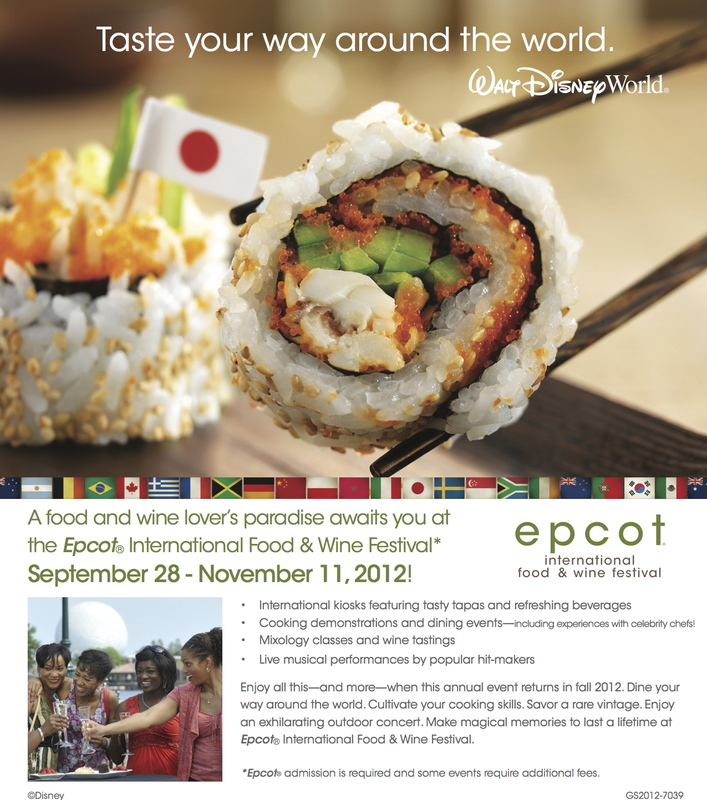 Join MouseChow.com on a magically delicious trip to the EPCOT Food & Wine Festival this fall! You’re invited to join me (Dawn) at Walt Disney World® Resort to experience the wonder and magic of the EPCOT Food & Wine Festival. Let MouseChow be your guide to the deliciousness. This exclusive travel package will make both your taste buds and your wallet happy, with exclusive experiences that you won’t find anywhere else. This exclusive MouseChow.com EPCOT Food & Wine Festival 2012 package is only available through Magic Carpet Travel Service, and is an incredible value. Email Dawn today or complete the form below for your personalized quote. Secure your space on this fantastic food adventure. Space is extremely limited so sign up early to reserve your spot! Or call my cell at 855-MC-TRAVEL. Don’t wait!